s-block elements included the elements of group 1 and group 2 of the periodic table. 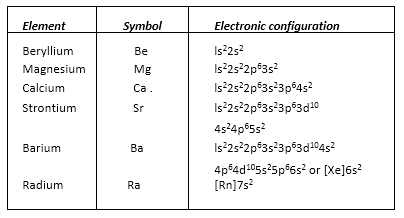 s block elements are metals. The elements of group I & II receive their last electron in s-orbital. So they are called as s – block elements. 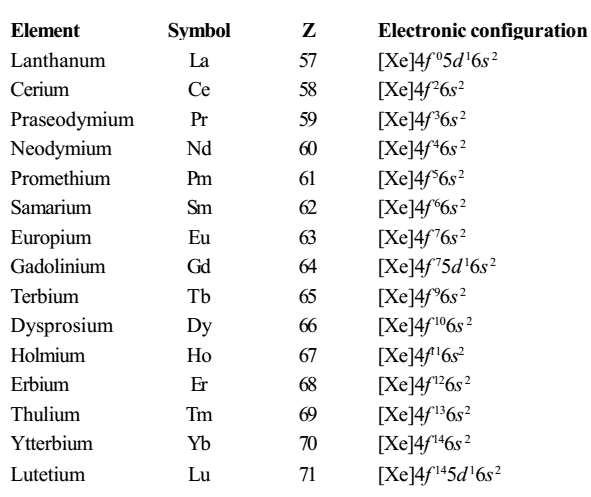 The metals Lithium (Li), sodium (Na), potassium (K), rubidium (Rb), caesium (Cs) and francium (Fr) which have one electron in their outermost shell belongs to group I. They are called as alkali metals as they react with water to form hydroxides which are strong bases or alkalies. Hydrogen is highly chemically reactive, like the other s-block elements, but helium is a virtually unreactive noble gas. 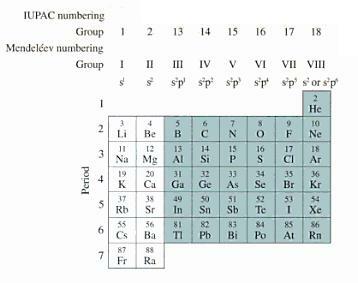 The p – block elements include the elements of group 13, 14, 15, 16, 17 and 18.
p block elements are mainly non-metals. p-block metals have classic metal characteristics: they are shiny, they are good conductors of heat and electricity, and they lose electrons easily. Of the p-block metals, several have fascinating properties. Gallium, in the 3rd row of column 13, is a metal that can melt in the palm of a hand. Tin, in the fourth row of column 14, is an abundant, flexible, and extremely useful metal. The d-block is in the middle of the periodic table and includes elements from columns 3 through 12. These elements are also known as the transition metals because they show a transitivity in their properties. The d-block elements are all metals which exhibit two or more ways of forming chemical bonds. The d-orbitals can contain up to five pairs of electrons. The f-block is in the centre-left of a 32-column periodic table but in the footnoted appendage of 18-column tables. These elements are not generally considered as part of any group. They are often called inner transition metals because they provide a transition between the s-block and d-block in the 6th and 7th row. The known f-block elements come in two series, the lanthanides of period 6 and the radioactive actinides of period 7. The f-orbitals can contain up to seven pairs of electrons. The g-block is a hypothetical block of elements in the extended periodic table. The outermost electrons are posited to have one or more g-orbital electrons. The elements do not have f-, d- or p-orbital electrons. Why atoms form chemical bonds? The basic answer is that atoms are trying to reach the most stable (lowest-energy) state that they can. Many atoms become stable when their valence shell is filled with electrons. If atoms don’t have this arrangement, they will reach it by gaining, losing, or sharing electrons via bonds. Ionic bonding involves a transfer of an electron, so one atom gains an electron while one atom loses an electron. One of the resulting ions carries a negative charge (anion), and the other ion carries a positive charge (cation). Because opposite charges attract, the atoms bond together to form a molecule. The most common bond in organic molecules, a covalent bond involves the sharing of electrons between two atoms. The pair of shared electrons forms a new orbit that extends around the nuclei of both atoms, producing a molecule. here are two secondary types of covalent bonds that are relevant to biology known as polar bonds and hydrogen bonds. Polar bond forms when two atoms connected by a covalent bond may exert different attractions for the electrons in the bond, producing an unevenly distributed charge. Water is an example of a polar molecule. Two adjacent H2O (water) molecules can form a linkage known as a hydrogen bond when they polarize. Main gas in the air we breathe – Nitrogen (around 78%). Acids have a pH level below 7. Famous New Zealand scientist Ernest Rutherford won Nobel Prize in Chemistry. At room temperature, Mercury is the only metal that is in liquid form. A nuclear reaction where the nucleus of an atom splits into smaller parts is known as nuclear fission. A neutron has no net electric charge. Argon (around 1%) is the third most common gas found in the air we breathe? Reactants is the name given to substances that are initially involved in a chemical reaction. Atoms of the same chemical element that have different atomic mass are known as Isotopes. A proton carries a positive charge. Sodium hydroxide (NaOH) is a base. Carbon is the fourth most abundant element in the universe in terms of mass. Horizontal rows in the periodic table are Periods. In Periodic table vertical columns are called Groups. Alkali metals belong to Group 1 group in the periodic table. Alkali metals are reactive metals. Unreactive non-metals are Noble gases. 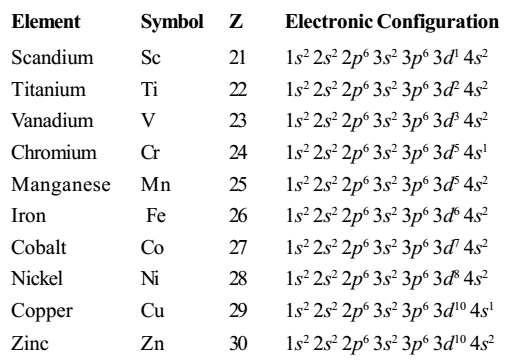 Group 0 elements are Unreactive non metals. The number of Electrons is equal to the number of Protons in its nucleus. Ions are charged particles that form when atoms Lose or gains electrons. The atoms in a molecule are joined together by the Covalent bond. Reactive metals are extracted by Electrolysis. Do you want to look into the topics such as organic chemistry, atoms, reactions, acids, and bases? Here is the best guide which will teach you regarding the Organic Chemistry. Our site is the best destination for the students who wish to gain the Knowledge regarding the Chemistry. Practice Free online Chemistry Quiz to analyze what you have learned. Even if you think you’re already an expert, then just practice the online Basic Chemistry Quiz and analyze where you stand regarding the subject knowledge. Father of modern chemistry – Lavoisier. Citric acid is present in lemon. The term PVC used in the plastic industry stands for polyvinyl chloride. Oil of vitriol is sulphuric acid. Glycerol is used in the preparation of dynamite. Gypsum salt is Calcium sulphate. Bleaching action of chlorine is by decomposition. Gunpowder is a mixture of potassium nitrate powdered charcoal and sulphur. Nail polish remover contains acetone. The isotope atoms differ in the number of neutrons. These are the GK Questions on the Chemistry. We will update the more Chemistry Questions for the competitive exams. Stay tuned to this page to get the daily updates. If you think this data is informative, don’t forget to share with your friends. Leave a comment below for further proceedings. Thank You!!! HAY MY FRIENDS AND RESPECT TO ALL TEACHERS . Sir, when will be the exam date declared?